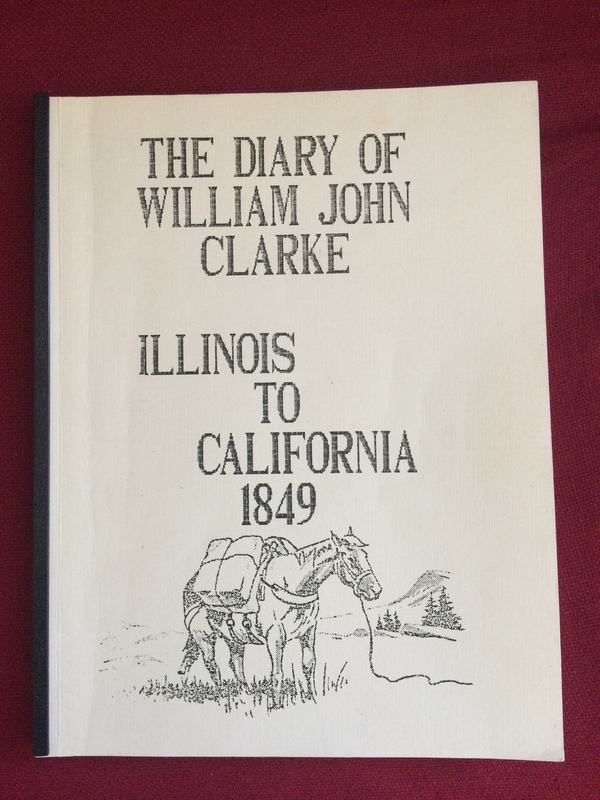 I knew that Clarke journeyed from Illinois to California in 1849 for the gold rush, but I hadn’t been aware that his journey originated in Ireland, where he was born and raised. His father, Dugald Clarke, was actually of Scottish descent. The English had actively encouraged the colonization of Ireland by giving land (after taking it from the Irish) to people who would settle in northern Ireland from the 1600’s onward. I look forward to learning more about the history of the Clarkes before they got to Ireland as currently I don’t know if it was Dugald Clarke himself who moved from Scotland to Ireland, or if that move happened in prior generations. What I do know is that Dugald Clarke and his wife Jane Tease (a native of Ireland) lived in Carricknamart in County Donegal, Ireland and had seven children. William was the third-born child, but the first of the siblings to leave Ireland, sailing for America in 1839, when he was 19 years old. He was not the last. Four of the seven Clarke siblings immigrated to the states and three of those ended up in California. William originally landed in New Orleans in1839. Within six months he had moved up the Mississippi River to Illinois, where he lived for ten years, in Mercer and Rock Island Counties. While living in Illinois he worked as a cabinet maker, and became a naturalized citizen in 1848. One thing I have learned in researching family history is that every fact or answer only serves to bring up more questions. I wonder why William entered the states via New Orleans rather than New York or some other common port of entry? And then, why Illinois? Perhaps he had family or friends already settled in those areas. Perhaps some day I’ll come across the answers. Still in our camp and all well and in good as spirits as could be expected on account of the weather. They tell us here that there has been four hundred teams passed this place for California this sping. It began to rain yesterday about ten o’clock AM and continued on to rain to about ten today and I think it rather uncertain when we shall leave here except it changes fast and dries up we cannot. The night being so cold we had to take turns about and get up to build fire as our blankets was on our horses. Left camp and resumed our journey at 9AM. Traveled nine miles and nooned. Roads generally good with the exception of one slough. After dinner and feeding our horses we started again. Had two miles of good road but after that the farmers changed their fence which caused us to pass through about fifteen or twenty sloughs of the worst kind. Our horses mired down and we had to unload and carry on our luggage about one hundred yards after which we fastened ropes to our hind axle tree and pulled it back. Traveled to Chapman’s Grove, there camped for the night. Had to carry our water about one-fourth of a mile, making today twenty-one miles. This grove is in Warren County, Iowa. This morning had breakfast at a earlier hour than common and rolled out for the bluffs. Traveled to Kanesville [as Council Bluffs was then known] and stopped for some time. Got six bushels of corn at $1.75 cents per bushel and also one hundred weight of bacon at eight dollars per hundred. Registered our name in the register office. Paid ten cents to register our name and had a paper sent to [undecipherable–looks like Arainfro]. After noon resumed our journey and came to the upper ferry on the Missouri River where we met G.B. Davis, J.M. Gilmore and Johnathan Emes. We camped to Monday [April 22]. We formed a company of twenty-five wagons and drew up a constitution and by-laws for to act by when we resumed our journey. Appointed James M. Gilmore Captain, Wm. Clarke wagon master for our trip. At four o’clock PM traveled three-fourths of a mile and recamped for the night. Our ferriage was nine dollars and twenty-five cents and work our passage. I will move on with Clarke’s story now, but intend to post other excerpts of his journal during the next couple of months on their corresponding dates. He was a miner for about six months and was apparently rather successful but he became ill from the poor diet of hard-tack and rusty pork, and left the mines, traveling to the burgeoning City of Sacramento, some 45 miles to the west, to recover. As it turned out, he did not return to mining but after recovering his health turned his hand to various enterprises, and made some astute business decisions along the way. I admire his flexibility and his ability to form a new plan when his current plan proved unworkable, a skill which requires the ability to see one’s life and events as they are, not as one wishes them to be. Next time: William John Clarke takes on a business partner, engages in a variety of ventures, and lands in Yolo County. It’s difficult to know where to jump in to the family history, but as I intend to focus—at least initially—on the family of my maternal grandmother (Marjorie Cain Hoffman Meckfessel aka Nana Marge, 1904-1998), William John Clarke (1820-1894) seems a likely choice. William John Clarke was my grandmother’s step-grandfather. 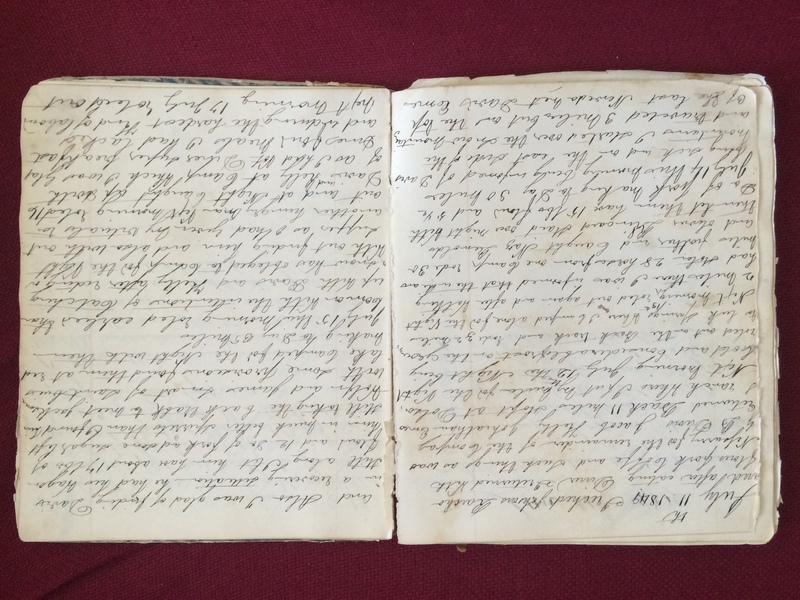 He’s an ancestor I’ve been aware of for many years thanks to the fact that he kept a diary while journeying west by wagon train in 1849, and that the notebook somehow survived. 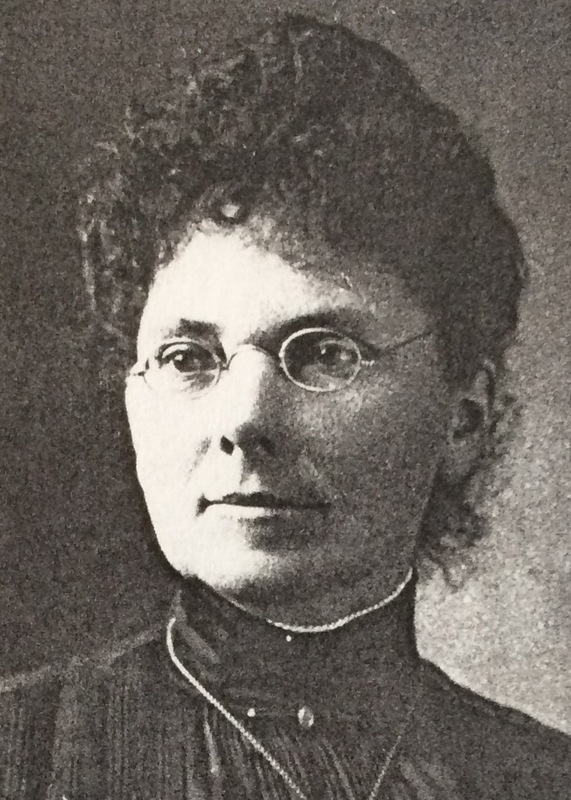 The small, leather-bound journal was discovered in 1931 by a man who had purchased a ranch in Colusa County that had been owned by Maggie and Warfield Powers, Maggie (Margaret Jane Clarke, 1869-1930) being one of WJ Clarke’s daughters. 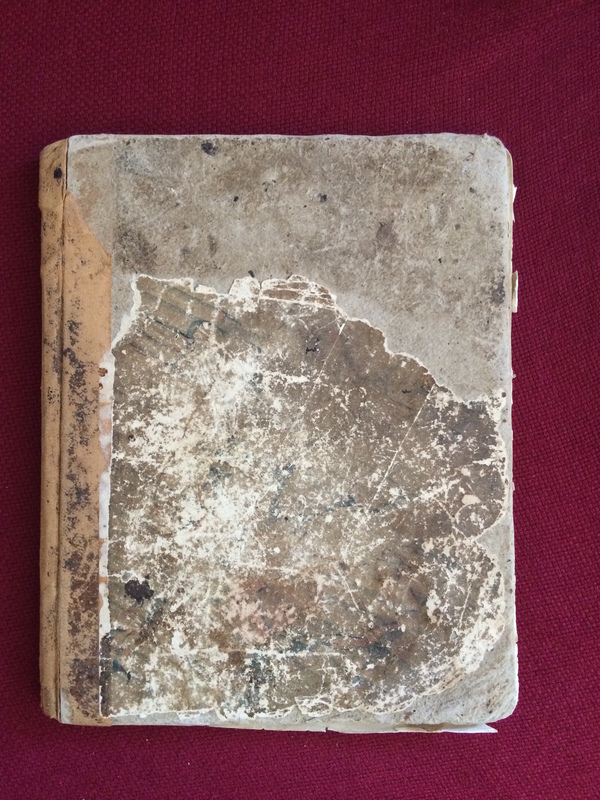 When this man came across the journal in an old trunk, rotting in a barn on the property, he was kind enough to pass it on to a friend of the Clarke family. It was eventually given to my grandmother. In the 1980’s the journal was borrowed by some of my mother’s cousins who were interested in family history. They copied it, typed it up, had it bound, and handed out copies to the family. I admit that after giving it a quick look and finding much of it rather dry reading, I let it sit on my bookshelf for many years before I read through the entire diary. When I finally sat down and read it, I found it fascinating, especially since it did not end with his arrival in California at the gold diggings, but had information about his activities after he arrived. 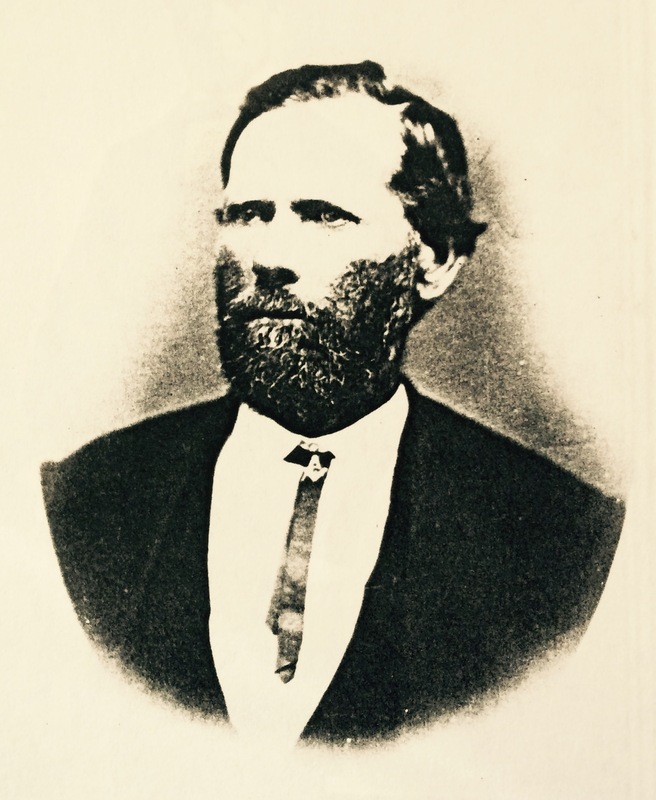 I’ll be sharing a lot of information on his various adventures and undertakings, but meanwhile I’ll just say that he is a key ancestor who was attracted to the land in Yolo and Colusa Counties and was one of the early farmers in that area. I have to stop and give a shout out to the industrious and talented women who in addition to making the journal available to us, also conducted extensive research on WJ Clarke, for which I’m very grateful, and they did it when family history sleuthing required much in the way of letter-writing and wearing down of shoe-leather, before the internet! I’m going to credit them right now as I certainly stand on their shoulders: Joyce Dawley and Marilyn Kelly Ornbaun, who are both great-granddaughters of Clarke. Our ancestors’ stories are all the more fascinating when placed in the context of historical events. I find Clarke to be an interesting character as his personal history was influenced by events that occurred “across the pond” in Ireland and Scotland, while as an early comer to California he actively participated in the making of history including the gold rush, the building of the City of Sacramento, and influencing farming methods in the Central Valley. His story is anything but dull, from his early migrations, to the mysterious circumstances of his marriage to Catherine Foster Tenney (1842-1897), whose first daughter by a previous marriage, Elizabeth Tenney Clarke (1863-1933), was my grandmother’s mother—and whatever became of that first husband, anyway? Elizabeth, or Lizzie as she was called, laments the fact that she never knew what became of her real father in a letter she wrote to a cousin after her mother died in 1897. This letter also reveals some startling information about one of her siblings, Willie Clarke, information her mother had kept from her. I decided to start this blog because I love to write, and I have recently been completely geeking out over researching my family history. Why not combine the two? Family members have been asking me about my research and this will be a great way to keep them informed. I plan to write about my ancestors as well as my experiences–successes and roadblocks–as a newbie genealogist. My name is Holly Holbrook. I was named after my paternal grandfather, Hollis Holbrook. The story is told that upon hearing what my name was to be one of my aunts declared I should be called Hollyberry, and the nickname stuck within the family. It especially evokes warm memories of my maternal grandmother, Nana Marge (Marjorie Meckfessel), who always called me Hollyberry. So, welcome family, friends, and other family history nuts, to the hollyberryblog. I look forward to reading your comments and sharing information.